The residential landlord-tenant relationship is among the most regulated areas of commerce in Ohio. From remedies for breach by both parties to statutory provisions for making rent payments into an escrow account, it is crucial for both residential landlords and tenants to understand the legal implications of each phase of the landlord-tenant relationship. The attorneys of Finney Law Firm have represented both landlords and tenants in disputes under Ohio’s Landlord Tenant Law (O.R.C. § 5321). While there is a common belief that the Landlord Tenant Law tilts in favor of the tenant and against the landlord, to the extent that this is true, the “tilt” reflects a policy choice that recognizes the unequal bargaining power that generally exists between landlords and tenants. Recently, we represented a tenant who was having difficulty recovering his security deposit. Ohio law requires the landlord return the deposit (or an itemized list of deductions for damages made by the tenant or use for payment of rent) within thirty days of the termination of the leasehold. If the landlord fails to refund the security deposit (or provide the itemized list) within the thirty-day period, the tenant is entitled to double damages and reasonable attorney fees. However, before the tenant can recover he must have provided the landlord with a forwarding address. Additionally, tenants should consider whether they caused damages to the home beyond “normal wear and tear.” If you left holes in the walls, damaged the appliances, or have unpaid rent, the security deposit may not be enough to cover those damages – leaving you exposed to a claim by the landlord for those repairs. In our case, our client had fully complied with his lease, had proof of payment for every month of his tenancy (four years! ), and proof that he had provided a forwarding address. The security deposit in this case was $725.00. Perhaps a small amount to some; but for our client, a new homeowner, every dollar counts. Utilizing Ohio’s landlord tenant law, we were able to secure a judgment of $1,450.00 for our client. The only question left for the judge was the amount of attorney fees to award. We negotiated a full settlement for $4,500.00. Meaning the landlord’s failure to comply with the statute cost him an additional $3,775 (plus his own attorney fees) and our client was made whole without incurring any legal expenses. Not every case is as straightforward as this client’s. 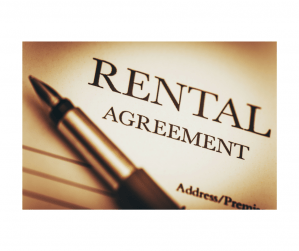 Whether you are a landlord or a tenant, Finney Law Firm can help you understand your responsibilities and secure your rights under Ohio’s Landlord Tenant Law. Read about potential landlord liability for the safety of tenants’ guests here.